Since 2015 I have travelled three times to Lower Silesia, Poland, where my father’s family lived for centuries under Bohemian, Prussian, and German rule. 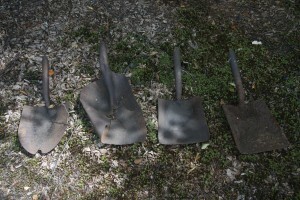 Their homes were in regional villages south of Wroclaw, a thousand-year old city. The earliest Silesians were migratory tribes. Traces of Stone Age habitation were found on the city’s riverbanks and Celtic populations passed through and moved on. Silesia was claimed by the kingdom of Poland shortly before the year 1000, followed by various competing rulerships and kingdoms as the land was bought, sold, given and taken in marriages between revolving political and religious controls, becoming finally a province of the Republic of Germany until it was annexed to Poland after WW2. 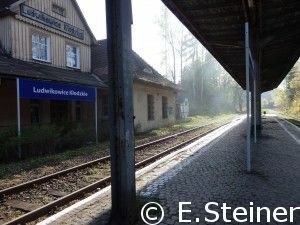 My relations, along with most ethnic Germans, were expelled to the west, leaving their homes and properties behind. 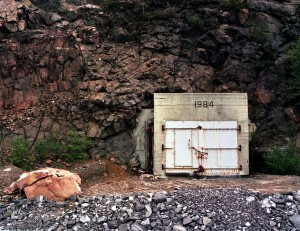 While in Silesia I filmed sites and recorded interviews for my media project, Borderland Memories. I was a visiting researcher on a team from Adam Mickiewicz University, Poland, and my project was funded in part by the Canada Council for the Arts (2018). Here is a link to a new visual essay, Among the Ruins, published in the online journal The Goose (2018). An early version of this work was presented at the 2011 Green Words/Green Worlds conference in Toronto. The images were shown as part of the 2013 exhibition, Abject Transformations, at Arcadia Art Gallery, Toronto. 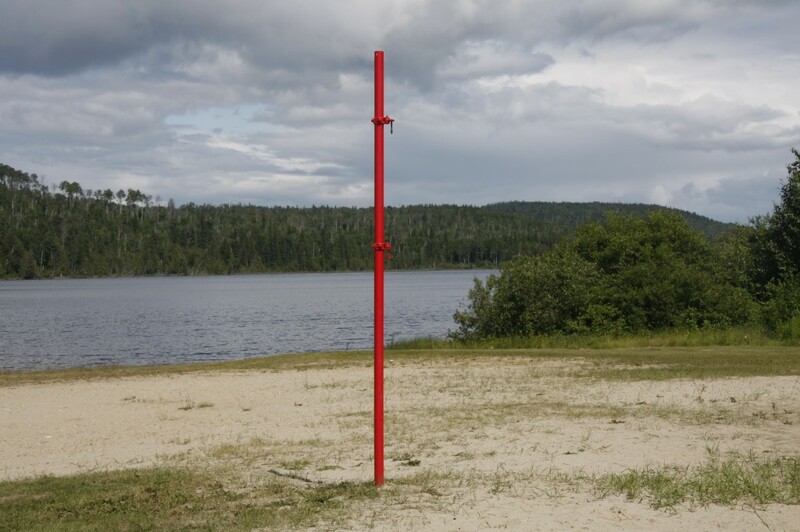 Here is a link to the current issue the The Goose, the official publication of ALECC (Association for Literature, Environment, and Culture in Canada). The poetry section features my new short video poem, Entering the Lake (2017). 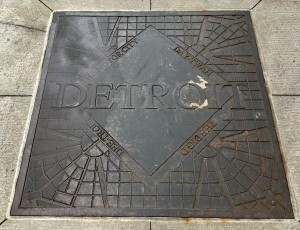 In June I attended a conference of the Association for the Study of Literature and Environment, Rust/Resistance: Works of Recovery, at Wayne State University in Detroit. I presented media and writing from my project in progress, Borderland Memories in Lower Silesia. It was my first time back to Detroit in many years and my only previous encounter with the city was at the Greyhound bus depot, en route to Ann Arbor Film Festival. As I walked among the ruins and some wonderful old architectures, I found myself in a city of hidden stories with much heart. Filmmaker Patrick Keiller wrote, “The present day flâneur carries a camera” and travels in some kind of vehicle (The View From the Train: Cities and Other Landscapes, 2013). My film “Northland: Long Journey” is playing in the program Labour and Love as part of 150 seconds of Ontario Film Festival. A traveling film festival goes to some interesting places that a big metropolitan festival does not. There’s culture in the rural, and expanded landscapes inform regional communities. 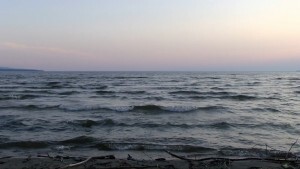 Conversations on the Lake, an environmental documentary about the rural places of my childhood in towns bordering Lake Superior, has screened in several Northern Ontario venues and festivals, traveled through parts of India in Voices From the Waters, and in rural southern USA locations in the Ozark Shorts Film Festival, Ozark Mountains regional festival, USA. These rural communities are participants in helping to shape critical environmental discourses around water, land, and community, within multi-vocal themes and expressions. 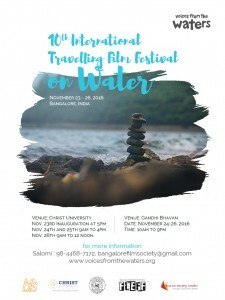 Conversations on the Lake is selected for the 10th Edition of the Voices from the Waters, International Travelling Film Festival on the 23rd to the 26th November 2016 in Bangalore, India. This festival is in association with the Bangalore Film Society, Christ University, Gandhi Bhavan, Chalanchitra Academy, FLEFF. 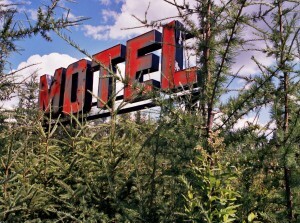 “Red Motel” (2005) from the series Northland. In the neoliberal global marketplace, the rhetoric of classlessness persists as a cultural imaginary. Meanwhile class divisions continue to be reproduced as economic inequalities intensify for much of today’s workforce, whatever their colour of collar, those fated to increasingly precarious employment. As we journey ever more deeply into environmental collapse, let us keep our spirits up as we continue to produce and engage with works and means of challenging that trajectory of doom. Our conference panel is called “Working on Earth: Essays on Class, Environment, Community & Justice” on Friday, June 10 at 3:45 PM. This promises to be a timely and important discussion, and I’m happy to be part of the conversation as I look forward to a wealth of great presentations. I recently saw The Measure of a Man (2015) , a cinematic masterwork by Stéphane Brizé, which brilliantly interrogates themes of class. Here we witness a Foucauldian panoptical reality, as Snowden’s nightmare and Orwellian fantasy collide in a fusion of complex ethical struggles and human grace. 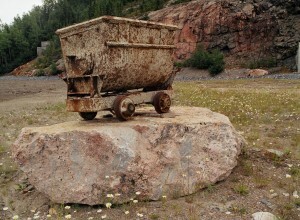 Image: “Old Mine Cart” (2007) from the series Northland, by Edie Steiner.